Anyway, we loved the ice cream bars at Balik Bukid so we got their calling card. When my sister-in-law decided to hold her daughter's party at the Fun Farm, I thought of getting ice cream from there... but failed to contact them till 3 days before the event. Good thing Miss Fannie was very accommodating and friendly. 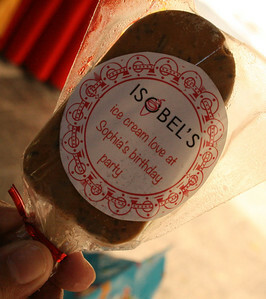 The ice cream bars cost P50 and since we only expected some 40-50 guests, I only ordered 60. 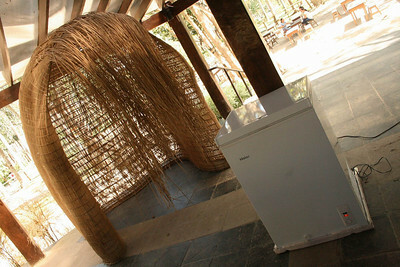 For an extra P200, they delivered the ice cream and lent us the use of their freezer too. Fantastic right? this is the espresso with chocolate freckles... my fave! I thought before that the vanilla with chocolate-covered almonds cannot be topped... until I tasted the buttery goodness of the buter pecan. But the espresso is really my fave of the lot. Next time, we might also try their other flavor, like salted caramel and tablea, basil with pili, mint chocolate chip, stracciatella, Nutella and lemon. 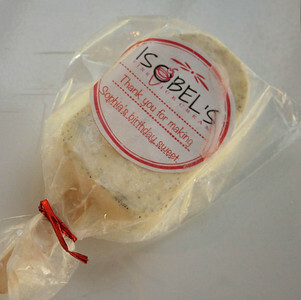 Isobel's also offers mango, strawberry, avocado, cereal milk, pistachio AND they can customize flavors. Miss Fannie also offers different swirls for the vanilla (butterscotch, fudge and mango). Now... who wouldn't be in love right? And I swear, everybody else who tasted it was won over. I even have a picture of my eldest who was depressed because all the chocolate-flavored ice cream were gone when he was ready for his next one (his parents were pigs, we had 4 each!). 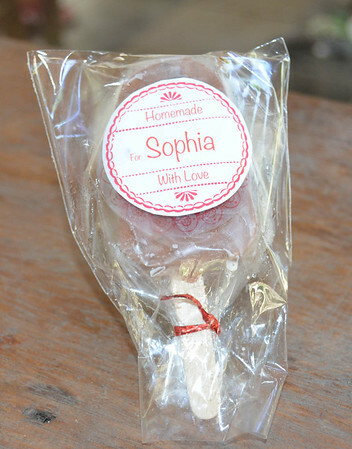 For orders, one can contact Miss Fannie M. Del Mundo at pola.isobel at yahoo dot com or text/call her at 0922-8931241. They have an office in Paranaque but their Paleteria is in Sta. Rosa Estates, Laguna too. 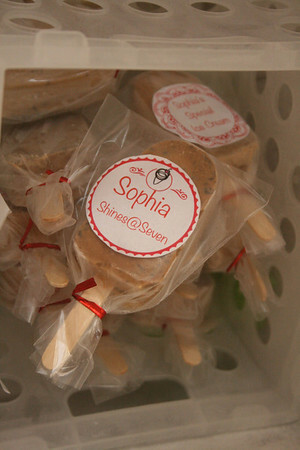 Just ask for party packages and the like (and yes, you can also order the ice cream in pints). 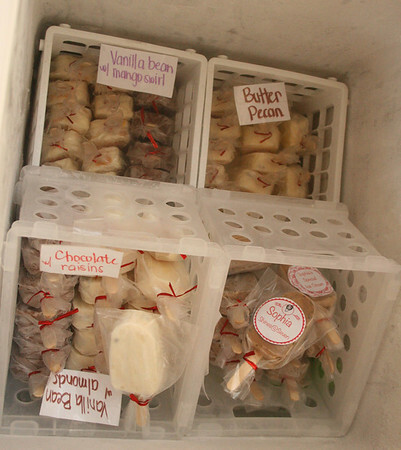 Ice cream is more fun when it's homemade from the freshest ingredients!!! And certainly, I cannot wait for my next tryst with Isobel's.